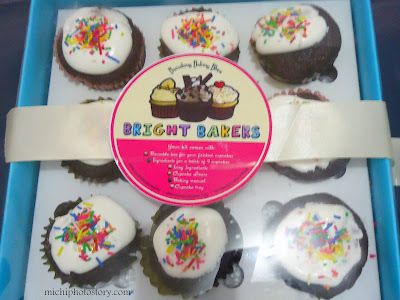 It is not a secret anymore that I love joining giveaways and last month I was so lucky because I won 5 giveaways and Bright Bakers kit is one of my winnings. 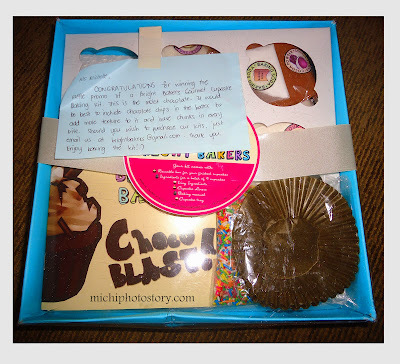 Two weeks ago I received the package but I was too lazy to bake. I supposed to bake this last weekend but when I read the recipe book, there’s one missing ingredient so I have to ask Bright Bakers first, thank God for twitter and facebook page. According to the recipe book, Bright Bakers Baking Kit gives you the joys of baking professional grade cupcakes, with recipes inspired by pastry chef Penk Ching, in the convenience of your own kitchen. 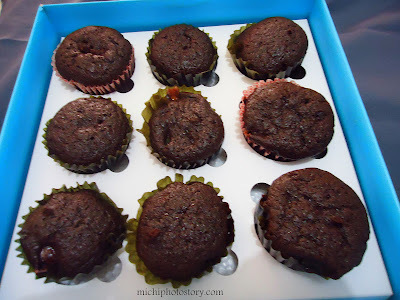 They make things simple while still preserving that one-of-a-kind baking experience. Taste the benefits of having your personal touch while working with the best ingredients. And to make things even better…no leftovers. The kit includes most of the ingredients except for the salt, oil, vinegar and water which is readily available in your kitchen. 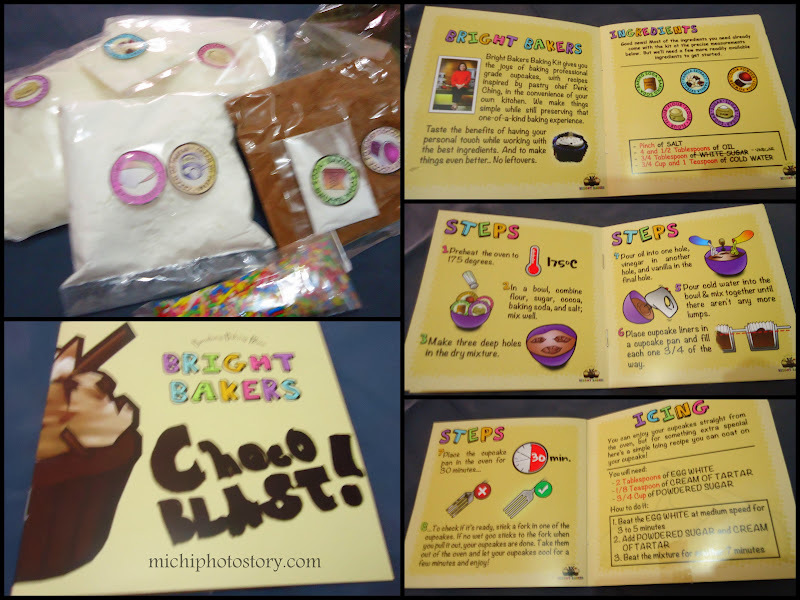 The steps are so easy to follow even kids who know how to read can bake their own cupcake. They look yummy sis. 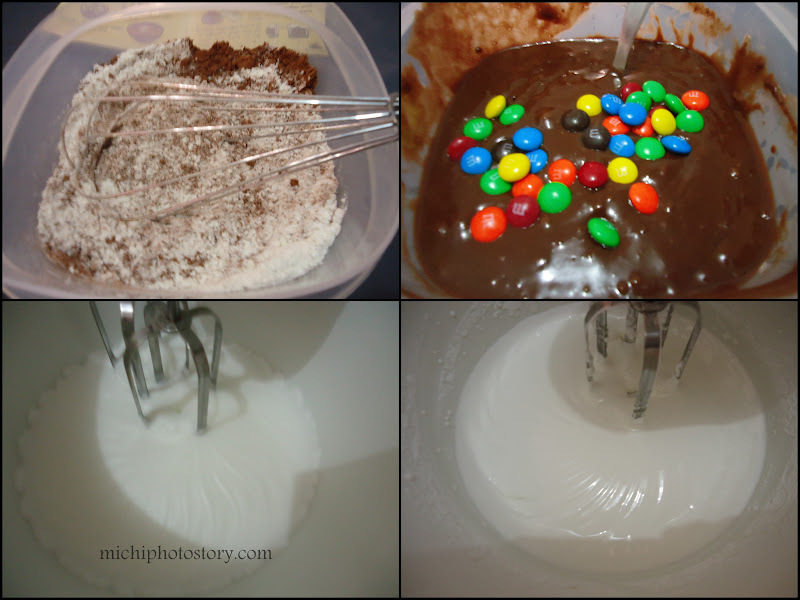 I always wanted to try baking too but I always lack the time to do it. you have a gift in following instructions... ako, i can't even make good looking pancakes :(... I heard from your hubby that you can cook almost everything, and now you can bake? idol na kita! hehehe!... pwede mong maging career ito. Ganda ngang pang gift nyan!! Sarap ba? 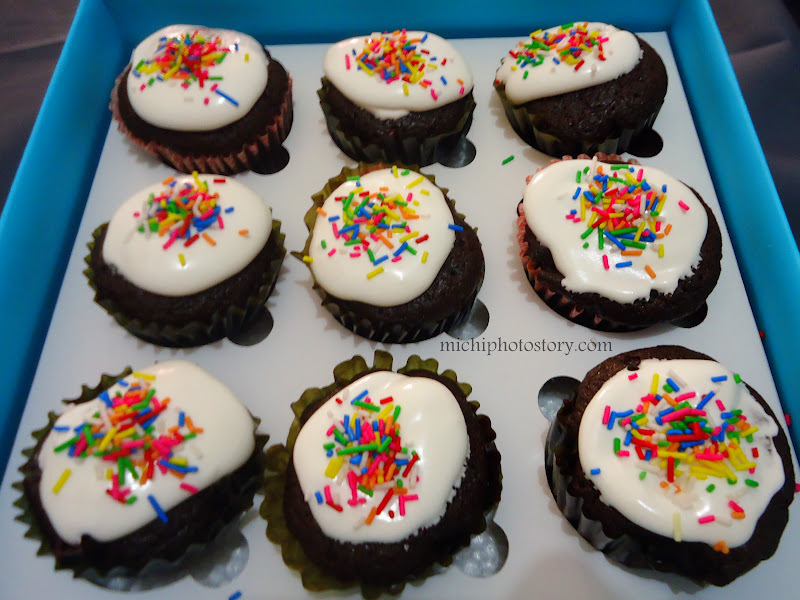 with or without icing natatamisan ako sis, wala naman ako dinagdag except sa m&m. You know I love to bake & those look yummy. Pwede na ngang pangregalo. Although I promised to give baking a rest muna, ayoko na kasing inuuna ni Poj ang paghingi ng cake bago fruits nya. Ok as treats kaya pag tagal-tagal I'll start baking again. Those look so yummy! I'd fight anyone just to get a bite of those! Love, love, love, love Chocolate :) They look absolutely delectable! Happy Golden Birthday to my Mom!